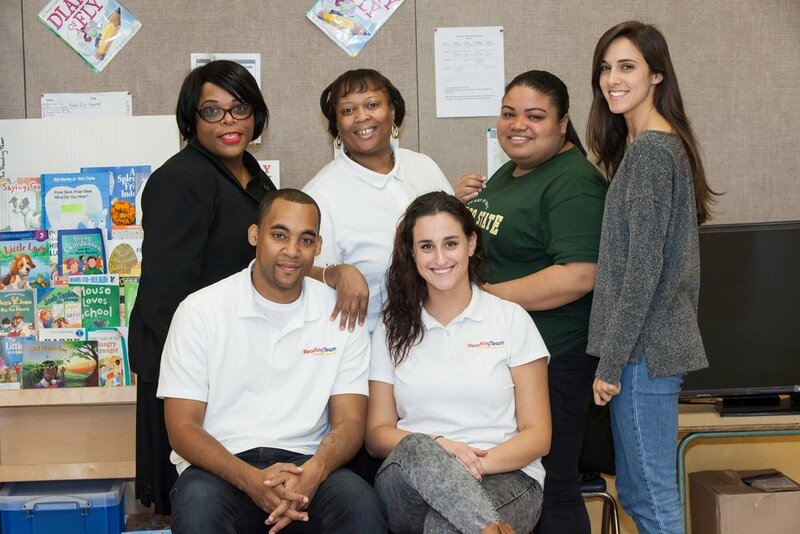 Our amazing team of directors, advisors, Literacy Mentors, and supporters make the Reading Team the incredibly successful organization it is. Literacy Mentors are the catalysts of our children's success. They are experienced teachers and graduate students in education whom we hire and train to engage children according to the Reading Team Model. Literacy Mentors lead the activities of our core programs – from storybook reading and letter and word games for our young children to critical reading of classic children's literature and researching and writing term papers for our older children. The unrivaled impact of these programs validates the quality of their contribution. Their energy and enthusiasm are contagious. The Reading Team is commited to providing leading-edge professional development to our instructional staff. Literacy Mentors typically participate in over 50 hours of professional development in their first year in one of our programs and over 30 hours of professional development per year thereafter. A graduate level course on the multisensory Orton-Gillingham-based approach. In this course for teachers, Mentors learn how to teach reading, handwriting, spelling, and comprehension. Language-based and success-oriented, the method employs phonetics and emphasizes visual, auditory, and kinesthetic learning styles. Three workshops on how to teach writing to young children. Mentors learn how best to support their students' efforts to write essays, short stories, and informational texts; how to encourage inquiry and collaboration among the children; and how to teach the children to use technology to support the research and writing process. A seminar on engaging young children in Mindfulness Meditation. A growing body of research tells us that children who engage in Mindfulness activities develop and strengthen their attention, calmness, impulse control, interpersonal skills, and executive function. We have noted these changes in Reading Team children and credit Mindfulness with supporting our efforts to create a culture of calm engagement at the Reading Team. Weekly meetings with our Program Director. At each meeting, the directors review each child’s progress and academic challenges, as well as make recommendations for improvements to our instructional programs. President, The Reading Team, Inc. Program Development Manager and Teacher, Little Learning, Inc. Many thanks to the families and individuals who have contributed to our mission.